Love Birds:Valentine’s Day Bird Feeders: This is such a clever a cute idea from Wine and Glue, lots of fun to make and would be a gorgeous gift to give! 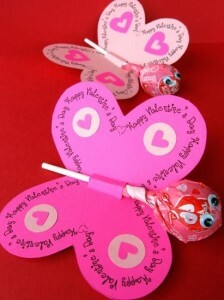 Homemade Valentine’s Day Lolly Pop Cards: This is a simple yet super sweet card for kids to make from My Frugal Adventures. 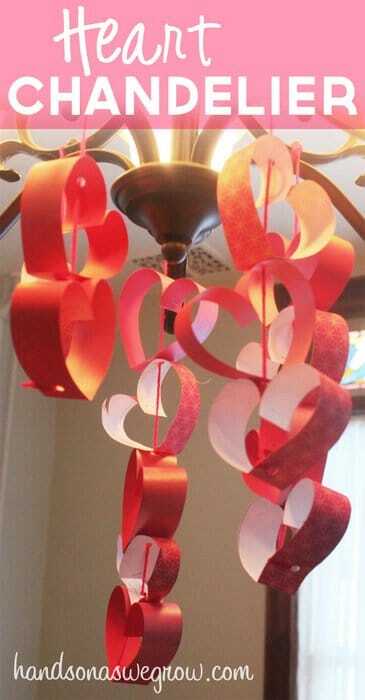 Pom Pom Valentine Monsters: This gorgeous little craft idea can be found at Crafts Unleashed. I love making pompoms and these would be so much fun to make for Valentine’s Day. 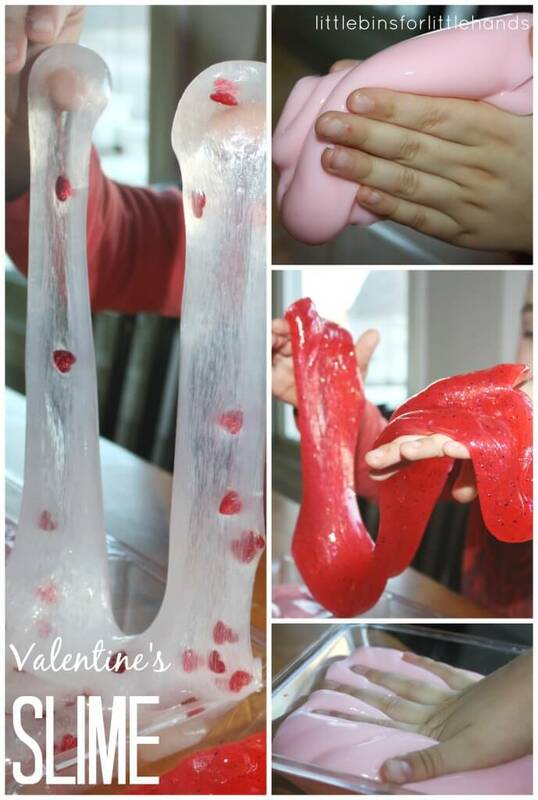 Valentine’s Slime: why not try some Valentine’s themed sensory play with this slime recipe from Little Bins For Little Hands. 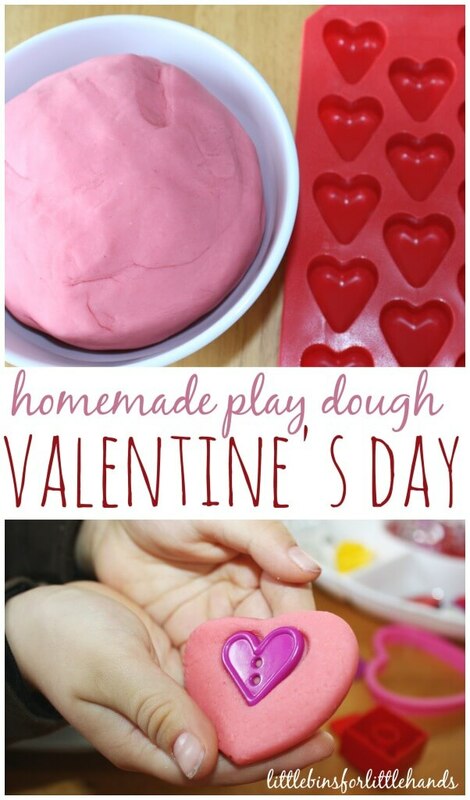 Valentine’s Homemade Playdough: staying with sensory play, Little Bins For Little Hands also have this lovely playdough activity. 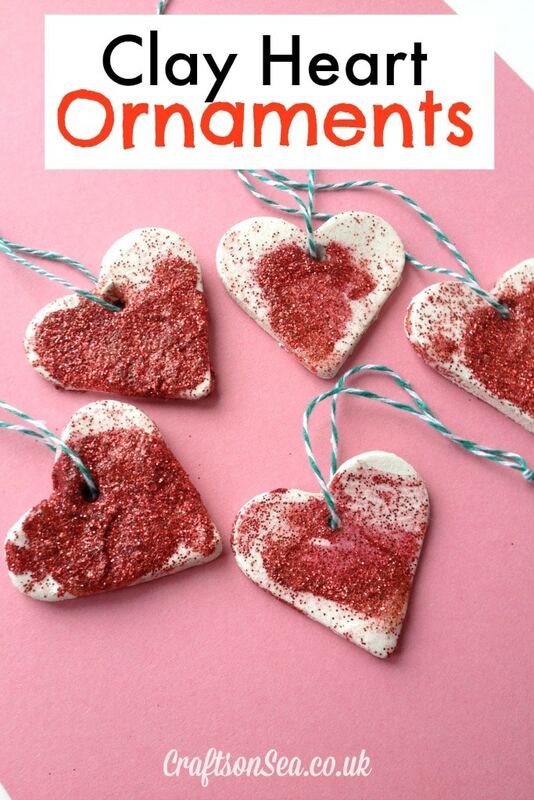 Clay Heart Ornaments: We love to make clay ornaments so we will most definitely be trying this craft from Crafts On Sea. 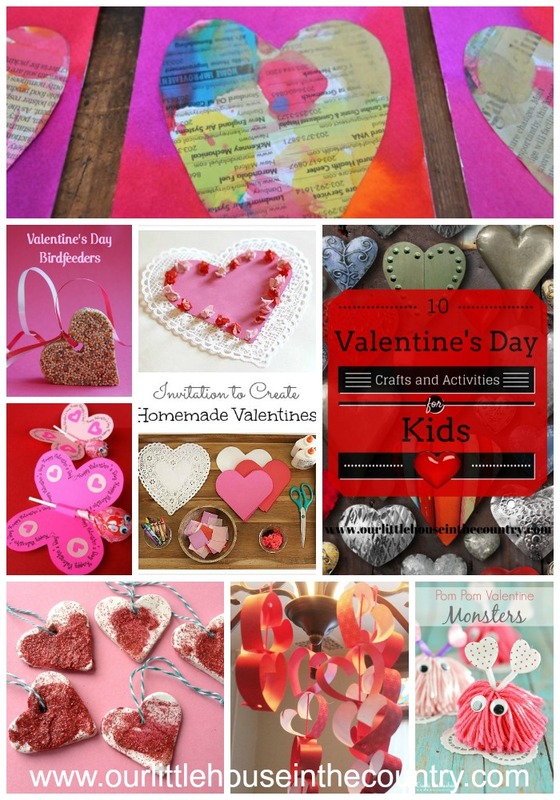 Painted Newspaper Hearts: You Are My Fave has a fantastic tutorial on how to make these beautiful hearts – they would make gorgeous cards. 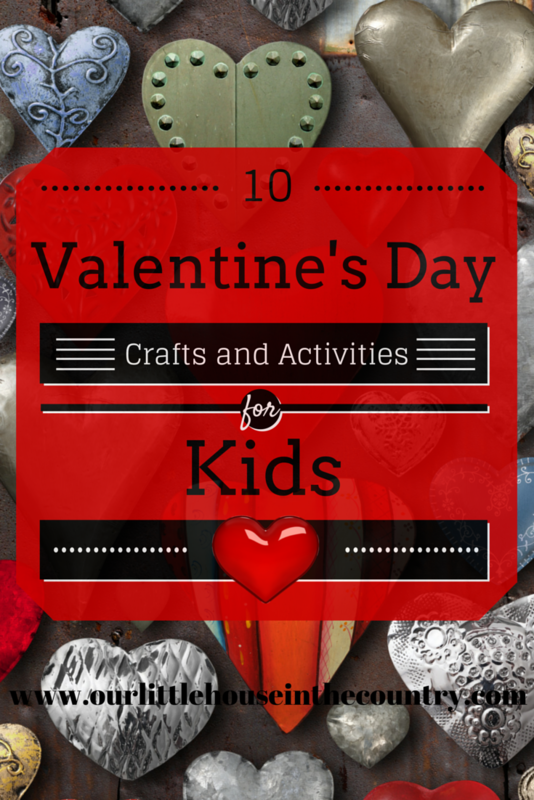 Valentine’s Day Sensory Art and Science Activity: Mini Monets and Mommies always have lots of imaginative ideas for all times of the year. This activity looks like an awful lot of fun! 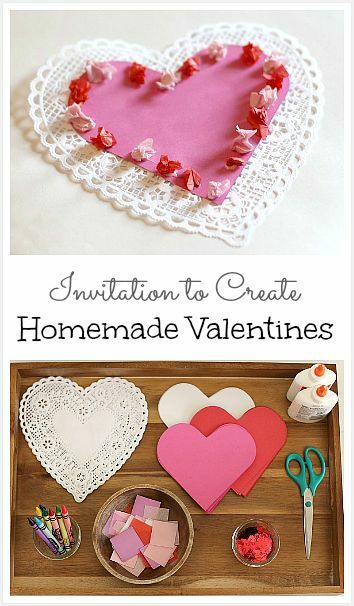 Valentine’s Day Invitation to Create: I love to offer my kids invitations to create or play and this Valentine’s themed invitation using doilies and coloured paper to create from Buggy and Buddy will definitely be on out our to do list. Love you ideas, I’m sharing them with the activities department at the nursing home I work at. Hopefully they can make some things for valentines day. These are all really great. 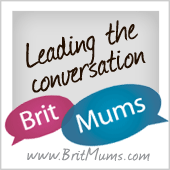 We will be trying a few today!